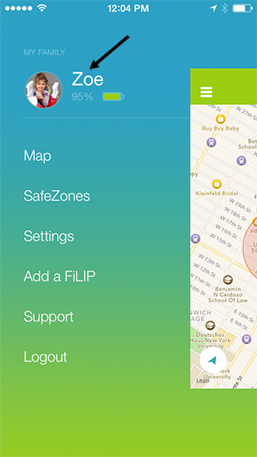 You can turn the FiLIP ringer on and off right from your app. 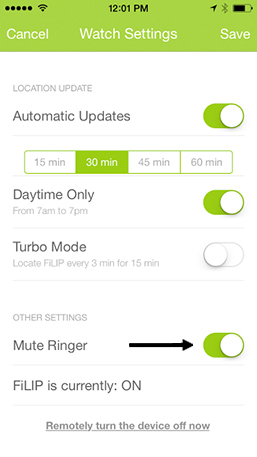 Follow the steps below to remotely turn off and on the ringer for your child’s FiLIP. STEP 1: Select the 3 lined menu icon at the top left of the screen to access the menu window and choose the child you want to manage. STEP 2: From this screen, select the child’s FiLIP you want to manage. 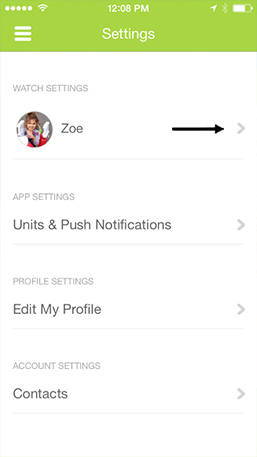 STEP 3: At the bottom of the settings page you can slide the ‘Mute Ringer’ button on and off. Just remember to press ‘Save’ at the top of the screen when you are done.